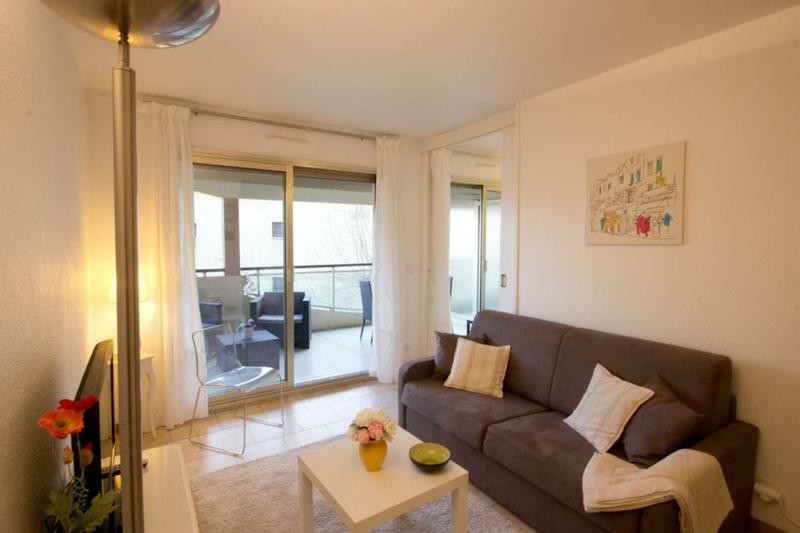 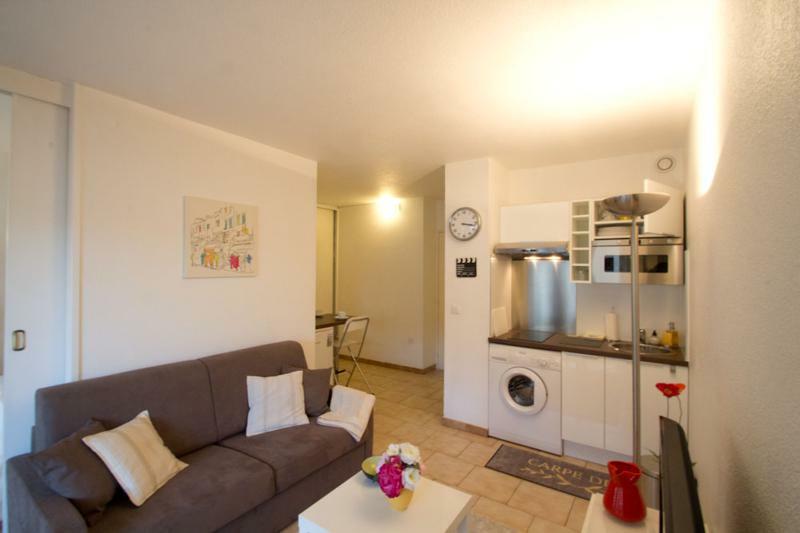 The CANA012379 is a pleasant one bedroom apartment situated on the other side of the express way, only 9 minutes away from Palais des Festivals. 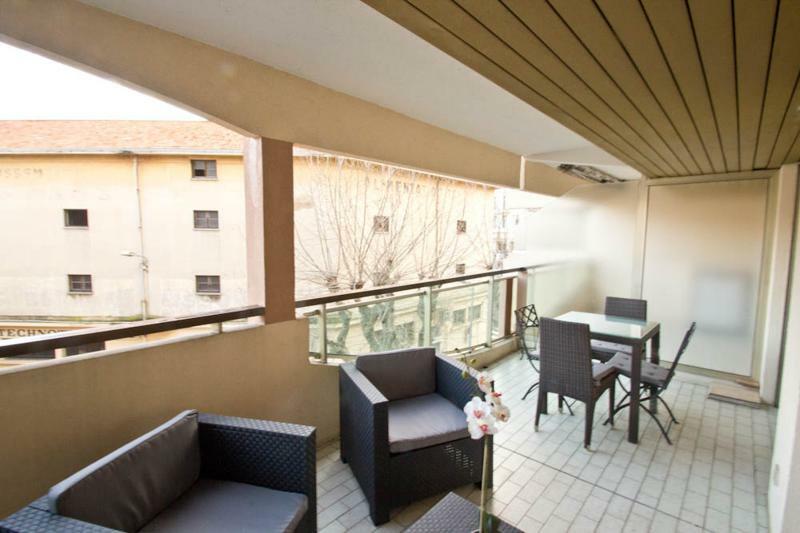 It`s basic but modern decorated, has a sofa bed, a dining corner and a very nice terrace which offers views of the streets of Cannes. 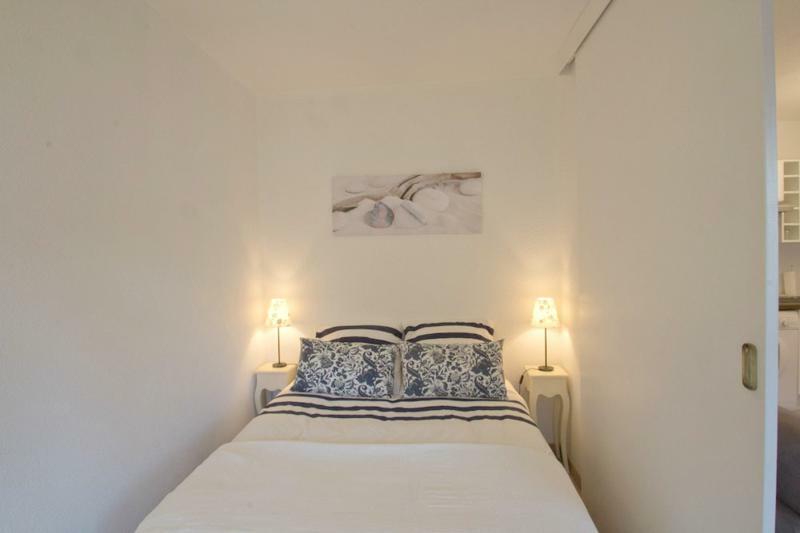 The bedroom has a double bed. 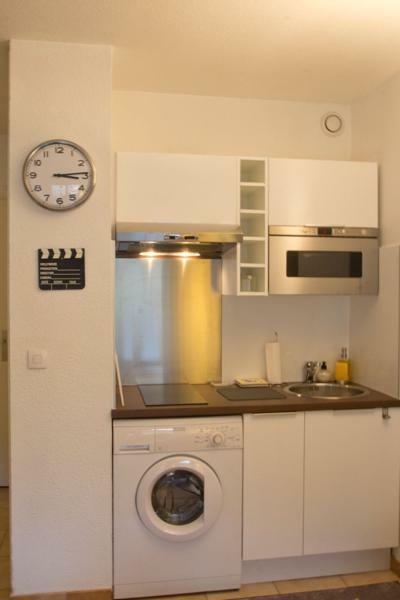 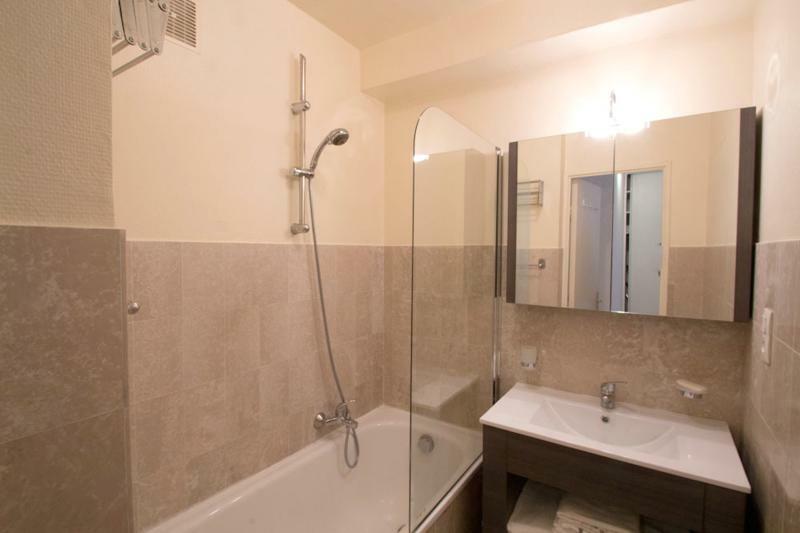 The kitchen is fully equipped and the bathroom has a tub. 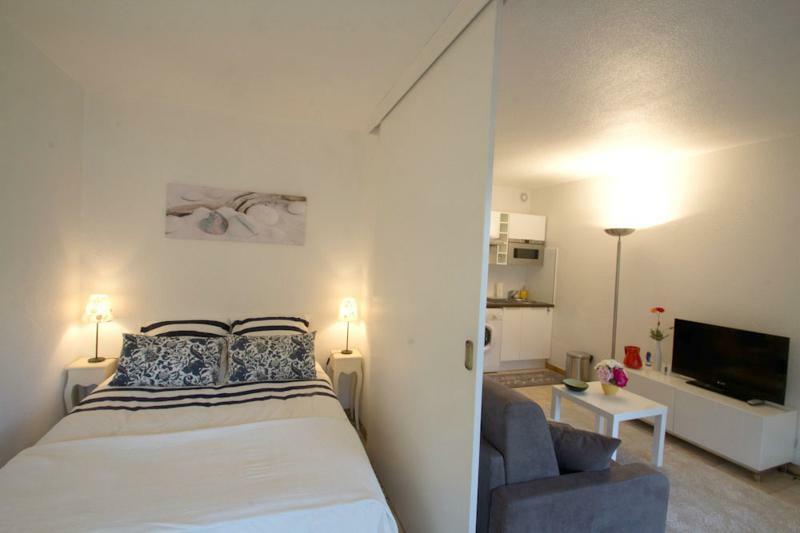 TV, air conditioning and Internet available.